I followed up with him and assured him that his contract was indeed turned in. He smiled ear to ear and replied, “Oh good, I don’t know what I’d do if I couldn’t go to school at Clariden.” I smiled and replied, “It is a pretty great place – right?’ He nodded, and replied, “the best”. Here’s a student that owns his education. His education matters to him. It matters so much that he had to know if he was set for school for the next year. Research tells us that when students own their education, their learning outcomes are higher, as they are more engaged, more motivated to learn, and care about doing well. 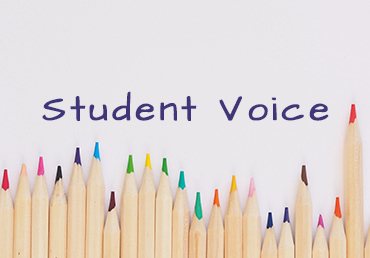 This student feels empowered and comfortable within our environment to use his voice to meet a need. Perfect! He has learned to utilize a necessary life skill – asking for what you need. The more he practices this within Clariden, the more comfortable he’ll become asking for what he needs in environments outside of Clariden – in environments where he’s not as comfortable. This student trusts me. He knows that it is safe for him to share this concern with me. Building trust is key in all relationships. Students gain confidence in themselves through their experiences with others. This student has experienced other learning environments and has an appreciation for Clariden. That speaks volumes to me about our teachers, our curriculum and our learning environment. We must be doing something well when our students want to be at Clariden. School is where students not only come to learn but, when done well, is a place where students are empowered to own their education and do. Don’t forget contracts are due back on February 25 by 6 p.m. Siblings (of current student) enrollment begins on February 26. Please apply on-line at www.claridenschool.org for a sibling of a current student. Open enrollment begins on February 28. Classes are filling! Many thanks to all of you that submitted your contracts. This aids greatly in our ability to plan.